Malaysia has an outbreak of a highly contagious H5N1 bird flu virus in Kelantan, the World Organisation for Animal Health (OIE) said yesterday, citing a report from the Malaysian agriculture ministry. The strain was confirmed among chickens at a backyard farm in Kelantan, according to the report posted by the Paris-based OIE. All 26 birds were killed or destroyed, the ministry said. 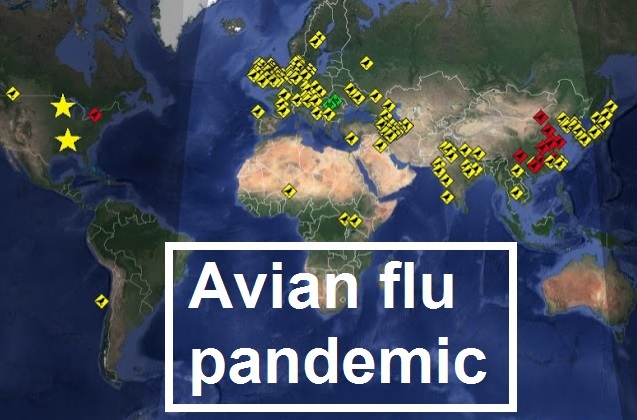 According to Reuters, the H5N1 strain has been detected in Cambodia in recent weeks. It is different to the H7N9 virus that has caused the death of more than 110 people in China. Meanwhile, The Star reported that Kelantan had set up road blocks to contain the outbreak after three cases were detected in one village. The state government has sought police help to stop the trafficking of fowl within a one kilometre radius of Kampung Pulau Tebu where 15 chickens were found dead recently. State agriculture committee chairperson Che Abdullah Mat said that culling activities were carried out three days ago. "The Veterinary Services Department had since culled 170 avians including chicken, ducks and birds, and destroyed 100 eggs in the affected village," he was quoted as saying by Star. Che Abdullah said the authorities were still in the process of tracing the source of infection, adding that the last avian flu outbreak was last recorded in Kelantan in 2004. He said the poultry in the state were safe for consumption as this recent outbreak was contained in one village. Eight people, including six laboratory workers, exposed to the virus were quarantined for 24 hours at the Tumpat Hospital as a precautionary measure.